On the run? Get fast publicity with fast printing. 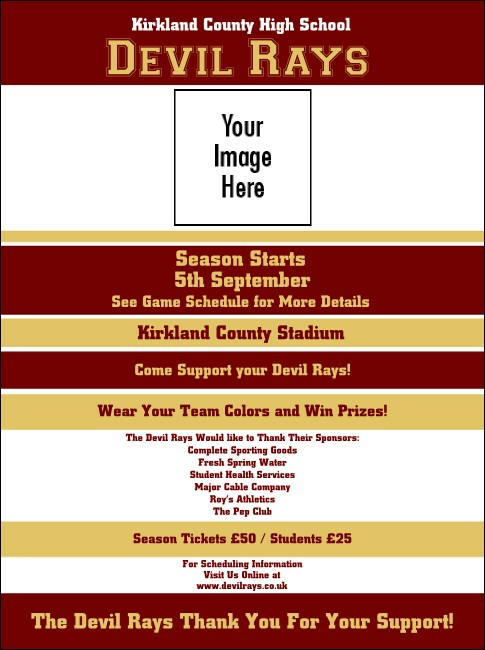 Try this maroon and gold coloured Sports Flyer when you're ready to advertise your upcoming match. Whatever sport you play, a proper Flyer plays along, helping you reach your fan base and share your event details with interested parties. Stand up and cheer with UK Ticket Printing.